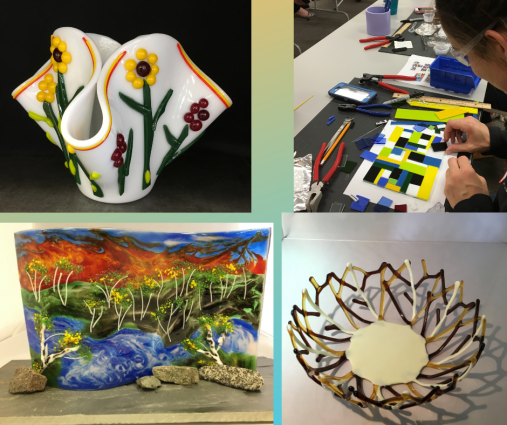 Looking for a fun and informative fused glass class? In this Fused Glass Basics and Beyond Class, you will learn about fused glass design issues, molds, techniques and work with a variety of materials. You will learn about kiln operation and how to prepare and program a fused glass kiln. You will also learn and practice glass cutting skills with the Cutters Mate cutting system. Each week you will work on unique projects. Each project highlights a technique or learning material. 4 different project classes plus lot’s of technical information and hints/tips into the world of glass fusing. We'll start with an hour-long stroll to view some of the migrating wonders. Then we'll head to the Visitor Center and use online tools to explore where these birds have been all winter. This program is designed for novice to intermediate birders, so please come whatever your experience level. Some binoculars and field guides will be available for you to use; please bring your own if you have them. Meet at the Lake Alice Swim Beach. Other tool recommendations (not required, but helpful) will be provided to students who sign up. 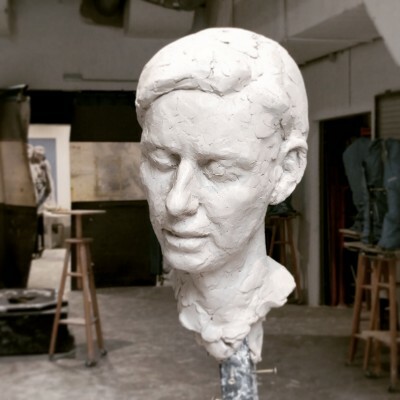 The goal is to create a finished clay portrait and to learn observation and anatomy in the traditional figurative methods of the great masters. If students wish to preserve their creation, I will share the learning materials for making a plaster waste-mold, or they can send their creation to one of the nearby foundries to have it cast in another material. Once there are 6 students signed up, confirmation details will be sent. To sign up, please send a message via the contact form on the website. CNC’s Home School Programs are created to offer students in home schools an opportunity to meet other children, take part in environmental education programs, and enjoy the outdoors. In this program, students will learn about the vital role of wetlands, and the plants and animals that live in these waters. Please dress appropriately for the weather. Did you know the library is a place your child can build confidence reading to a furry friend? Join us at the Stillwater Public Library for PAWS to Read with Bella, usually scheduled for the second and fourth Mondays of each month between 4:00 PM - 5:00 PM. 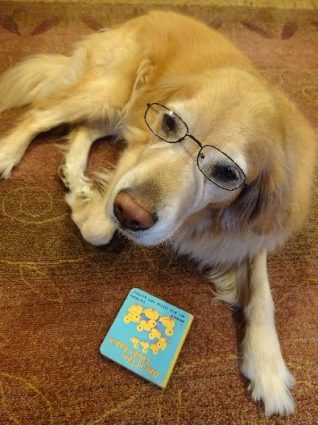 Bella, a Golden Retriever, is a Certified Therapy dog, and she loves when kids read to her. This program is geared toward kids ages 7-12. Program is free, but registration is required. 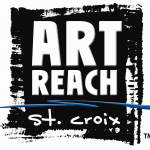 Call 651-275-4338 or stop by the Public Services Desk to register for a 15 minute time slot. 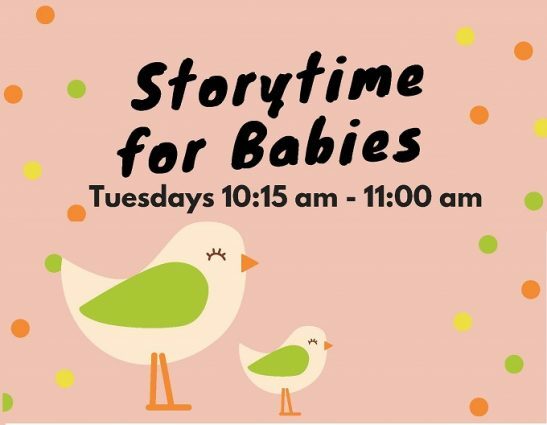 Join us at the Stillwater Public Library on Tuesdays at 10:15 a.m. for Baby Storytime. Stories, songs, fingerplays and more to encourage the development of early literacy skills. For children birth to 24 months & caregivers. Program is free and no registration is necessary. No matter where you are in your creative journey, Laura inspires you to find clearer intention, and the permission to explore, expand, and be hungry for your creative self-expression! You do not have to be a writer to come. Just a seeker. From the trenches of "failure" to the altitude of "success," Laura has much to share about the power of writing and she offers it all in a safe, nurturing, challenging, and inspiring environment that can change your life. 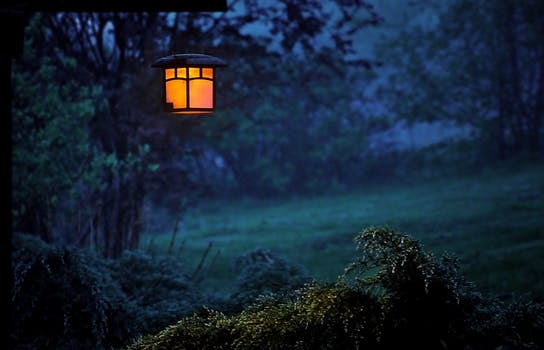 Come get a taste of what 400 people from all over the world have experienced in the woods of Montana, ranked in the top 3 writing retreats in the US. For more information on what to expect, what to bring, etc. email kali@moonriverwellness.com. WHEN: Wednesday, April 24 from 9am-4pm with a reception to follow. All attendees need to be there for the entirety of the program. WHERE: Address will be sent when registration and deposit is received. 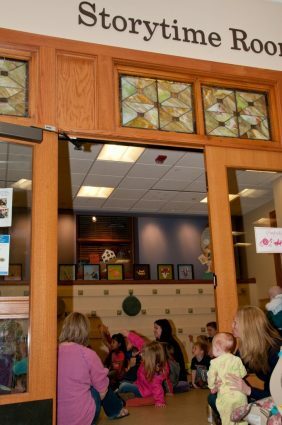 Join us at the Stillwater Public Library on Wednesdays, January 2 through April 24 from 10:15 - 10:45 a.m. for Family Storytime. Stories, songs, finger plays, and more to encourage the development of early literacy skills. For all children and their families or caregivers. Program is free and no registration is required. Join us at the Stillwater Public Library on Wednesdays from 3:00-7:30 p.m. for Art Cart. In addition to being fun, making things with your hands benefits child development, especially fine motor skills and hand-eye coordination. 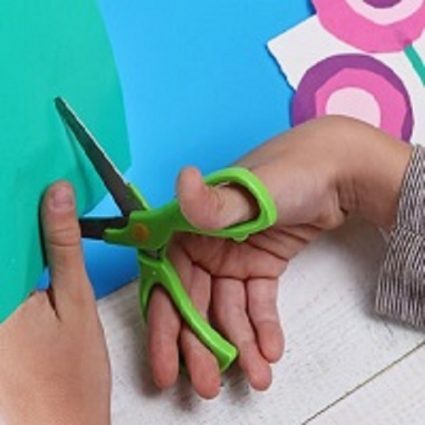 Each week, we'll provide supplies and a suggested project that you can make with your child. There will also be coloring sheets. This self paced activity for you to enjoy with your child(ren) will be set up in the storytime room. Program is free and no registration required. 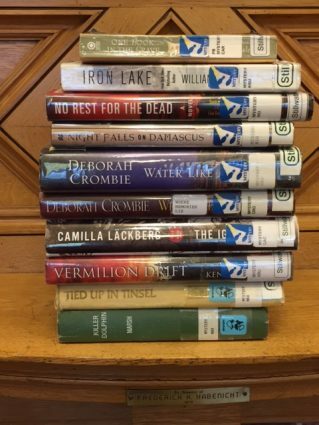 Join us at the Stillwater Public Library on the fourth Wednesday of the month at 6:30 PM in February - November for our popular mystery readers club, the Mystery Book Club. Group members read individual titles of their choice based on the theme, setting, or topic selected by the group at the end of each meeting. All mystery enthusiasts are welcome. This class is taught by Elissa Cottle of Stillwater, Master of Fine Arts in Writing. 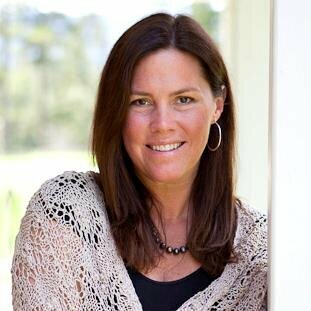 Elissa is a published poet, professional writer and editor, and is in her 15th year teaching creative writing. Students enjoy weekly writing and reading assignments, helpful feedback and encouragement, and a supportive community of writers. Class size is limited to 12 students. 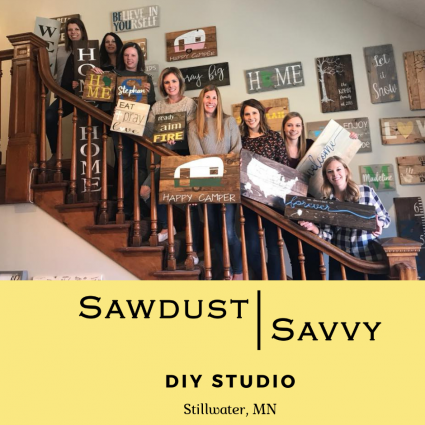 Experience a Sawdust Savvy workshop, Minnesota's Original DIY Studio! Assemble (using power tools! ), stain and paint your custom creation, and in just 3 hours it will be ready to go home with you! Projects include planked signs/pallet signs, wood & metal signs, decorative boxes, blanket ladders, decorative serving trays and more! Visit our website at www.sawdustsavvy.com to view pictures of the available projects and our full calendar. Registration is required! Climate data shows that our Minnesota winters have become substantially warmer, especially in northern Minnesota, and heavy rainstorms that can dump 6-10 inches of rain within a 24-hour period of time are becoming more frequent. These changes can have a dramatic impact on our economy and way of life, in addition to impacting wildlife and natural resources. During this presentation, Angie will share some of the actions local watershed districts and state agencies are taking to plan for extreme rainfall events. 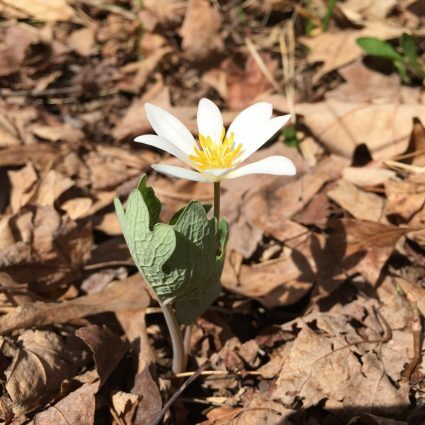 She will also talk about actions you can take to build resiliency on your own land, including managing woodlands for changing climate stressors and using drought tolerant species for lawns and gardens. Join expert birder, Kevin Smith, on a morning hike around the Nature Center. Learn to identify birds by sight and sound. Field guides and binoculars are available to use or bring your own. 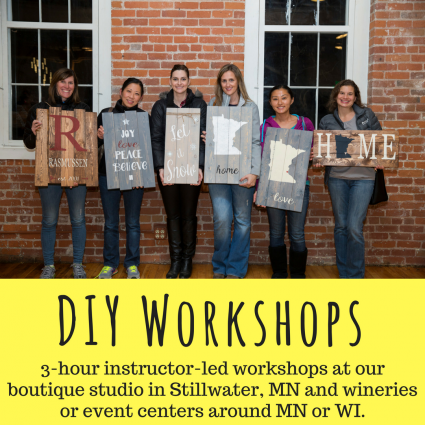 Experience a Sawdust Savvy workshop, Minnesota's Original DIY Studio! Pick from hundreds of project options in our instructor-led workshops. Assemble (using power tools! ), stain and paint your custom creation, and in just 3 hours it will be ready to go home with you! In collaboration with Mangos Mainstreet Eatery, Marchese Design Studio is hosting casual, creative sessions for local working and aspiring artists. 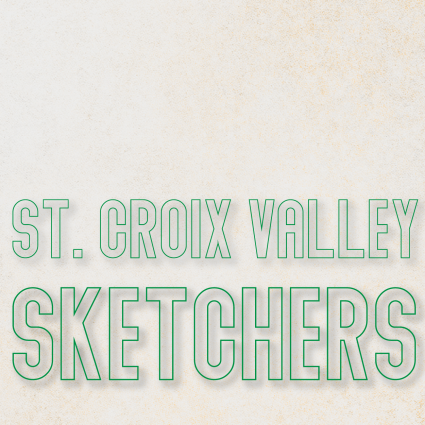 Every First Sunday Sketch will include time for networking and sharing success. Bring an object to sketch or paint (if you choose) or previously started works. Plenty of room for easels and imagination! Spread the word! Meet at Mangos!! 6:30 - 7:00 pm - Refreshments, silent auction, student art show, opportunities to interact with local education and conservation organizations, and live raptor meet & greet. Enjoy student artwork developed around neotropical migratory birds that are shared between the St. Croix Watershed and the Osa Peninsula of Costa Rica. Students from both ends of this migration route have participated in creating artworks that represents a variety of bird species. This collection will be on display across from the hospital café beginning on May 11 during the Bird Migration Celebration. 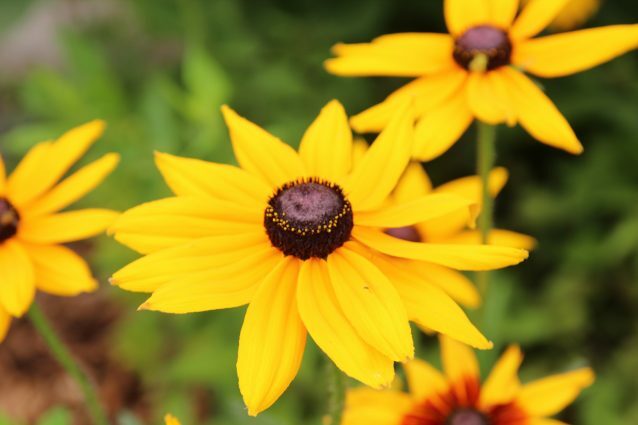 9:00 - 11:00 am - Self-guided nature hikes, children’s activities, and welcome tent with information on birds and habitat. 10:00 am— What was that bird!? Where did it go!? This family-friendly program will explore the world of birds through games, a craft, and a short 1/4-mile hike. You'll even get simple cardboard binoculars to take home and use on your own backyard birds. Meet at the stone picnic shelter at the south entrance of the park. 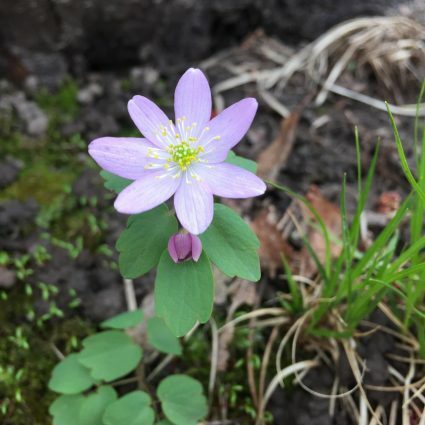 6:45-9:00 am— Mother’s Day Hike Join us for a delightful guided hike at Belwin Conservancy’s Education Property. 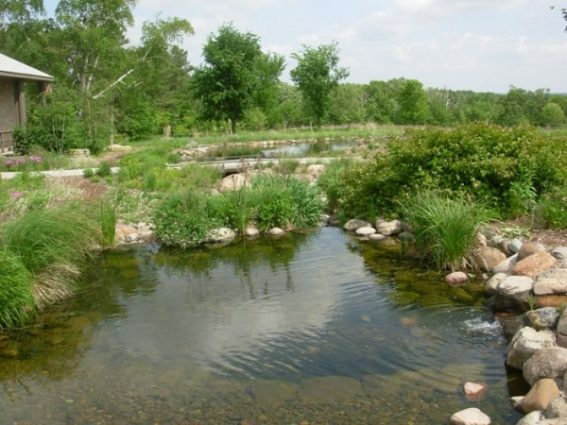 Walk along wetlands, streams, prairies and an oak savanna restoration in progress. There are stunning vistas and of course a plethora of birds! Questions? Call 651-808-1381. 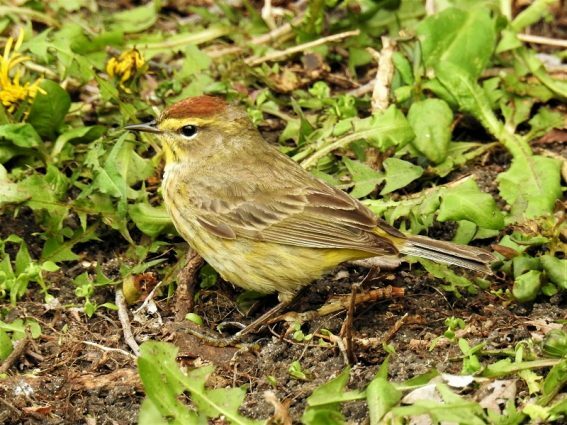 Saturday, May 11 8:00 am—Join birder Neil Skoog for a morning bird walk around the bluff tops of Prescott, WI. Learn about the importance of healthy local habitats for birds and wildlife, and how you can help our neotropical migratory birds. Meet at St. Joseph Cemetery on Monroe St. Enjoy hands-on Art + Nature activities all day! 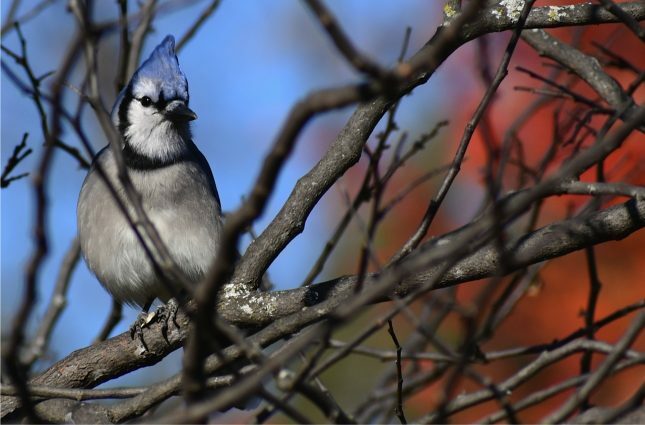 Join the St. Croix Valley Bird Club on a morning hike on our beautiful Wisconsin Campus. Learn to identify birds by sight and sound. Celebrate World Migratory Bird Day on May 11th at Freedom Park with local birder Neil Skoog! 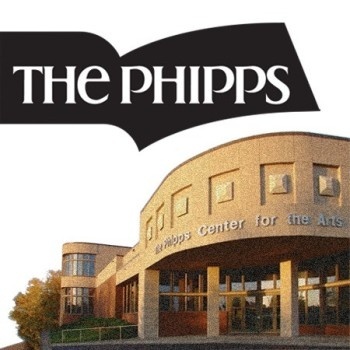 We will take a morning bird walk around the blufftops of Prescott, WI, where the Mighty Mississippi River meets the Wild and Scenic St. Croix River in the heart of the Mississippi River Flyway. 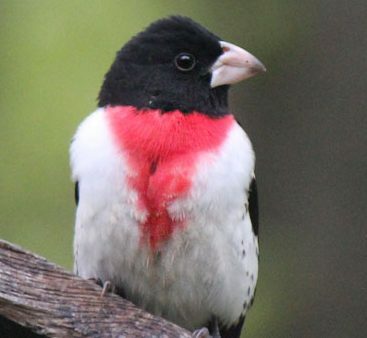 This guided walk happens during the peak of songbird migration, and will start at nearby St. Joseph Cemetery (down Monroe St. from Freedom Park). Immediately following the walk there will be a presentation about songbird migration at the Visitor Center. Learn about the importance of healthy local habitats for birds and wildlife, and how you can help our neotropical migratory birds. This event is for all ages and there will be a limited number of binoculars for rent. Neil Skoog is originally from Hudson, Wisconsin and has been a birder his entire life. He has a Bachelor of Science degree in Ecological Science where he did focused research on wintering bird populations in northern Minnesota. He has taught college-level courses as well as environmental education courses. Neil has conducted migratory and breeding bird surveys in multiple states and is a recently graduated Minnesota Master Naturalist. Please meet at Pine Glen/St. Joseph Cemetery at 8am. To find Pine Glen Cemetery, follow Monroe St east from the Visitor Center. The cemetery is a half mile from the Visitor Center. There are some parking spots next to the gate; otherwise park along the south side of Monroe St.